A runaway countess escapes an arranged marriage through a business that brings brides to the most eligible bachelors of the New World of Adoria. The Countess of Rothford descends from one of Osfrid’s noblest bloodlines, but her family’s financial desperation leads her grandmother to arrange a marriage for her with a dull, itchy noble whose own grandmother can’t wait to control her life. 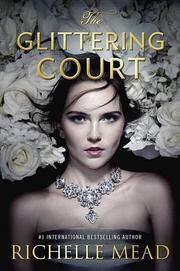 Opportunity knocks when Ada, a former attendant, is selected for the Glittering Court, an intensive finishing school that furnishes brides to the New World’s new elites. Ada doesn’t want to go, so the countess goes instead, taking both the name Adelaide and Ada’s place. Fish-out-of-water Adelaide’s an expert at the niceties the school teaches yet comically incompetent at basic commoner skills; if she fails to fit in, she’ll be discovered and sent back home. She befriends her roommates, ambitious Tamsin and Sirminican refugee Mira (who stands out among the evidently white, English-cognate Osfridians and suffers for it), and is helped by the Glittering Court owner’s handsome son, who knows her secret but has a dangerous one of his own. Soon, the girls are sent to Adoria, the frontier where Adelaide has a chance of marrying for money—or love. The story, genially narrated by Adelaide, offers few surprises, but it goes down easy, abetted by worldbuilding that borrows freely from both Regency- and frontier-novel tropes without questioning either very hard.